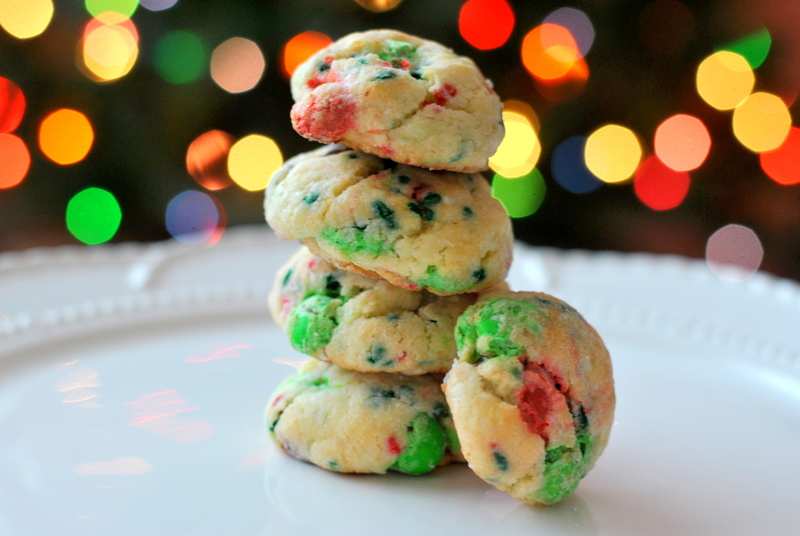 I made these cookies for the blogger cookie swap last week. Each person receives the addresses of three other food bloggers. They you send each of them one dozen homemade cookies and you also receive three different boxes of cookies made by other bloggers. 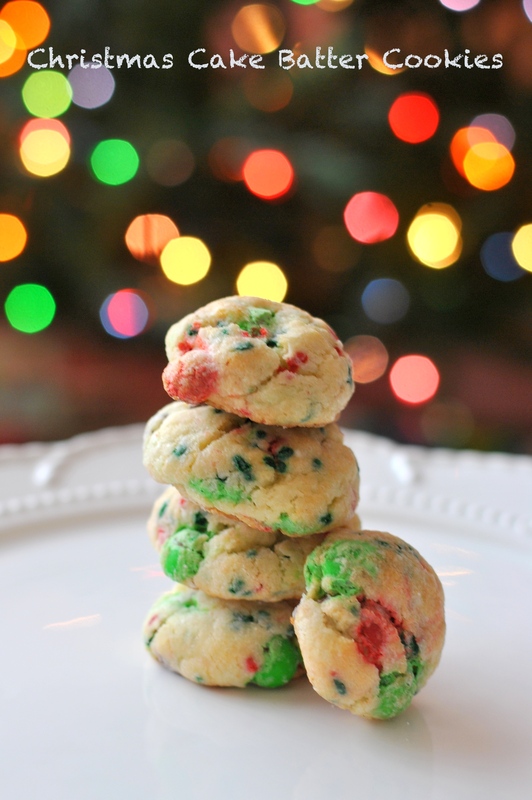 Each participant posted their cookie recipe today, check them out to get some great ideas for the holidays! 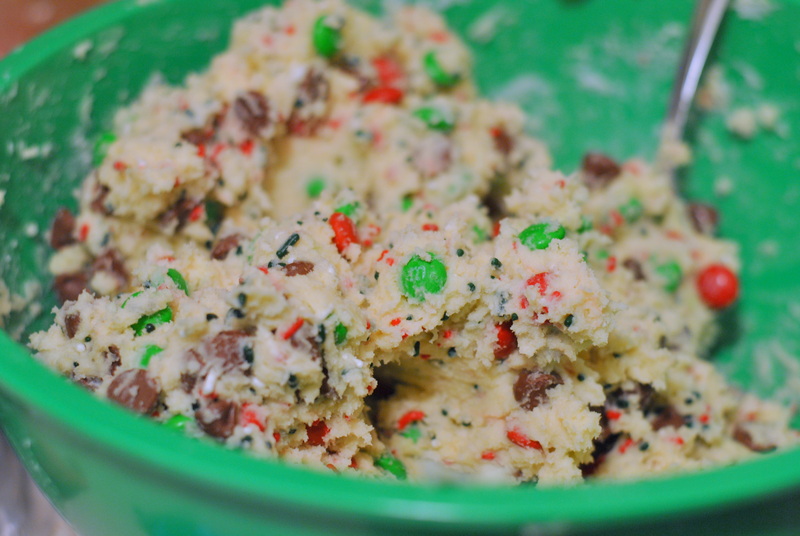 Beat cream cheese and butter together until smooth then beat in the egg, vanilla, and sprinkles. 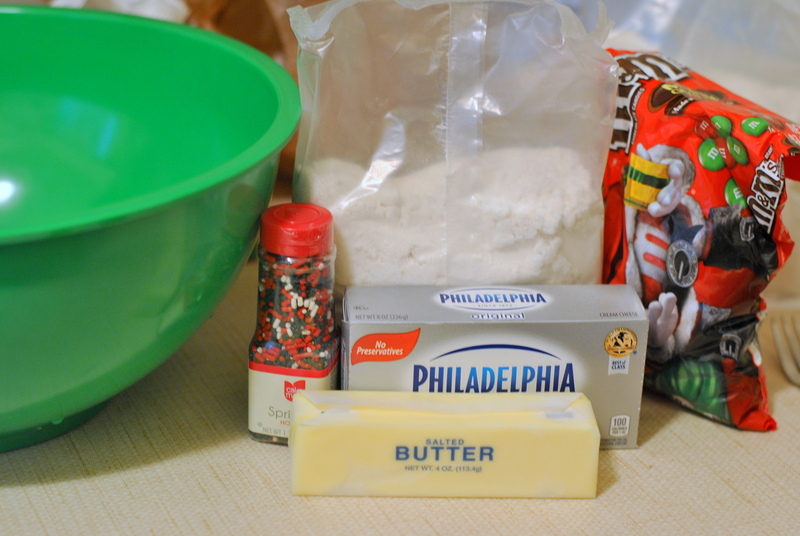 Gradually add in the cake mix until you create a dough. 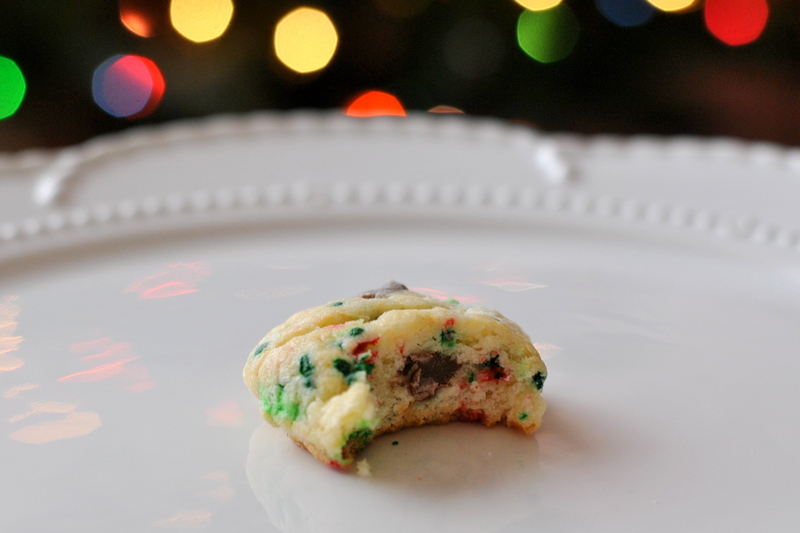 Fold in your chocolate chips and M+Ms until evenly distributed in the dough. Cover and refrigerate for an hour or so (until its stiff and cold) then roll the cookies into 1.5 inch balls. Coat them in some powdered sugar and bake on 350 for 10-12 minutes. I definitely enjoyed them! Thank you! 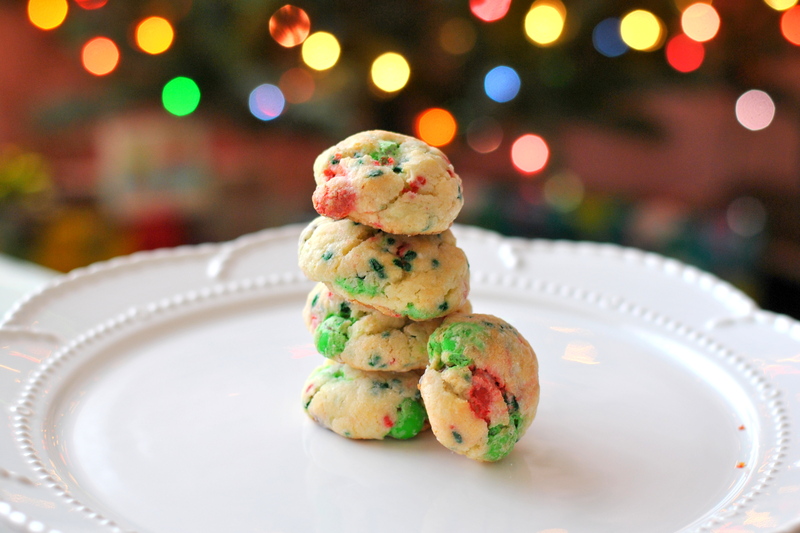 Oh wow these look delicious! We should do an informal get together for DC bloggers.